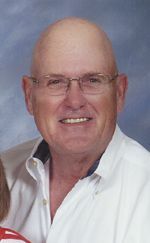 Obit for Joseph Herman Hausberger Jr.
Joseph Herman Hausberger 66, of Highlands, Texas went to be with the Lord on May 29, 2008 in Baytown, Texas. Joe was born on May 21, 1942 in Cynthiana, Kentucky to Joseph Herman Sr. and Rosalie (Puruit) Hausberger. Joe joined the United States Air Force on February 29, 1960 and was honorably discharged on February 28, 1964. Joe then moved to the Highlands area and started his automotive repair business and married the love of his life Shirley Stoy Hausberger. Joe was very passionate about his church and helping others so he was very active with several organizations such as the Highlands Methodist Church Choir, Emmaus Group, Kiros Prison Ministry, 30 years of membership with the Highlands Rotary Club and helping children at the Chinquapin School. When he wasnÕt helping others Joe enjoyed hunting, going to the races, spending time with his friends and most of all spending time with his family. Joe loved to make people laugh and always had a joke for you and he also was a wonderful husband, father and grandfather and he will be missed by all that knew him. He is preceded in death by his parents Joseph Sr. and Rosalie Hausberger and brother-in-law Charlie White. He is survived by his loving wife of 30 years Shirley Hausberger, sister Sherry Dance, Sister Ann Snelling and husband Chester, son Joseph Hausberger III and wife Valerie, daughter Jenny Lynn Hausberger, grandchildren; Garrett, William, Randy, Robin, Tori, sister-in-law Evelyn Barnes, sister-in-law Ruby Stoy, brother-in-law Calvin Stoy and wife Pat, sister-in-law Barbara Gray, sister-in-law Dorothy Rash and husband Bill, sister-in-law Pat Riley and husband Robert, brother-in-law Joe Stoy and wife Jeannette, sister-in-law Debbie Parks and husband Charlie, other relatives, his church family and friends. A visitation for family and friends will be held May 31, 2008 from 10am-2pm at the Highlands Methodist Church with funeral services at 2 pm. Interment will follow at Sterling-White Cemetery. Services have been entrusted to Sterling-White Funeral Home 11011 Crosby-Lynchburg Rd. Highlands, Texas (281) 426-3555. To sign the online register book visit www.sterlingwhite.com. 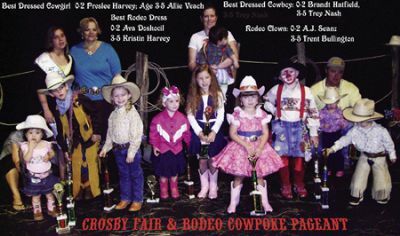 CROSBY  The Crosby/Huffman Chamber of Commerce provided something extra for the seniors of Hargrave High School and Crosby High School last Friday; a luncheon featuring them as honorees for having taken the tougher courses as recommended by the Texas Scholars Program. The program included plenty of door prizes for students of both high schools. Graduation ceremonies begin at M.O. Campbell Stadium May 30 for this years class. 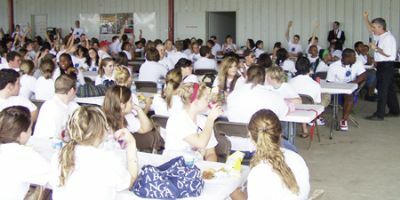 A picnic diner consisting of chipped beef sandwiches with chips and beverages was served by Chamber members at the Crosby Fairgrounds. Orations were provided by Justin Brady C/HCC President, Superintendents Mike Joseph for Crosby and Douglas Killian for Huffman. DAYTON The 2008 Dayton Ole Tyme Days Festival was a huge success. And because of that success several Dayton students can continue their education. The scholarship committee is pleased to award $30,000 in scholarships to Dayton High School graduating seniors this year. The $30,000 is the largest amount awarded in the 16 years Dayton has been hosting Ole Tyme Days festivals. The students awarded have worked very hard to achieve this milestone in their lives. The scholarships will help them begin their collegiate educational journeys. The annual awards ceremony was held Thursday evening, May 22 at Dayton High School. Dayton Ole Tyme Days Memorial Scholarships presented were: In memory of Delores Bagley: Bliss Francois, $3,000; In memory of Sharon Gray: Rachel Giberson, $3,000; In memory of Jackie Lambright: Cindy Alvarado, $3000 and In memory of Jay Tankersley: Kati Scott $3000. 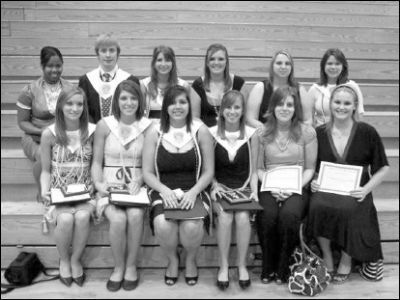 Dayton Ole Tyme Days Scholarships in the amount of $1,500 went to Halee Bedwell, Kinsey Blalock, Elizabeth Chachere, Shelby Clanton, Kayla Copeland, Kaley Jagnanan, Laura Johnston, Jesi Noack, Jeremy Revils, Ford Smesny, Robyn Thompson and Alyssa Votaw. The mission of Dayton Ole Tyme Days is to promote Dayton, Texas and to raise money for local youth scholarships. Each year the scholarship application deadline is in March. Graduating seniors can visit their high school counselors office to get an application. The festival continues to grow each year. Attendance at the 2008 festival was over 10,000 guests. Community support for the Dayton Ole Tyme Days Festival enables the scholarship committee to award these deserving students. Thank you to everyone who makes these scholarships possible. 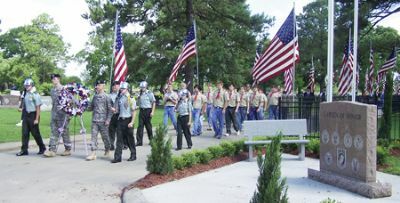 For more information on the Dayton Ole Tyme Days Festival, visit www.oletymedays.com. LIBERTY COUNTY Members of law enforcement are mourning the loss of one of their own after a 16-year veteran of the Harris County Sheriffs Office, along with his wife, died in a fire at their home near Hardin. When firefighters entered the home of Henry and Kathy Legg in the Knights Forest Subdivision they found the pair just feet away from the back door. According to authorities a fire was reported at the Leggs trailer in the Knights Forest Subdivision on May 22 around 4:40 a.m.
Crews from the Liberty, Hardin and Hull-Daisetta Fire Departments responded to the blaze. Cpl. Hugh Bishop, with the Liberty County Sheriffs Office, said that neighbors reported smoke at the house just after 4:40 a.m. When crews arrived, he said, they found the couples vehicles in the driveway making firefighters believe the couple was inside. However, it was not until 7 a.m., when the fire was contained, that firefighters could get into the home to search for the couple. The first was found a few feet from the back door just after 7 a.m., the other was found about a half hour later under a pile of debris. Kenny Dagle, an arson investigator, said that the fire does not appear to have been foul play. The initial investigation indicates that the faulty wiring was the cause of the blaze, although investigators are continuing to study the scene. Capt. John Martin, with the Harris County Sheriffs Office, said that Legg has been with the department for 16 years and that he was currently assigned to the jail in downtown Houston. Bishop added that Legg was well-known in the area and often assisted Liberty County deputies who respond to calls in the neighborhood. In an ironic twist the deaths came a week after the observance of National Peace Officers Memorial Day, a day created by President John F. Kennedy to honor peace officers who had lost their lives. HIGHLANDS ESD #14 completed their election by canvasing the votes last Monday night at a special called meeting. The Emergency Service District is the quasi-government board that levies taxes for the Highlands Volunteer Fire Department, and allocates monies for their budget. Due to lack of publicity, only 53 votes were cast, out of a possible thousands of electorate. Of these, Jim Strouhal got 50 and Alton Neatherlin 36 for reelection. The Tax Rate Authorization received 49 For and 4 Against votes, thus passing. This election was necessary because the Texas State Legislature, in their 2007 session, changed the regulations governing ESD boards, so that commissioners must be elected rather than appointed, and serve two year terms. This meant that in Highlands, two seats were up for replacement this time. Jim Strouhal, board president, and Alton Neatherlin, were the candidate and were reelected. On advice of the ESD legal counsel, the ballot also contained a provision for the district to raise taxes in the future, from the current 5¢ per $100 valuation of real estate, to a maximum of 10¢ as allowed by law. However, attorney Butch Callegari explained that the election laws would not allow this to happen without public hearings that would be advertised in the future, prior to a board vote on the rate. The requirement to publicize or advertise an election was not part of the requirements of this vote, according to Callegari. Notice of the election was posted in only 3 locations, but he said this met the legal requirements. These locations were the doors of the fire station, the community center, and the court house annex in Baytown. At Monday nights meeting, several local residents complained that no one in the community knew about the election or even the right to run for office. Historically, election notices have been published in local newspapers, but this time it was not done. Said Highlands resident Ted Kaminski, The public doesnt know there is an election. Its like Im a mushroom, being kept in the dark. Board members later expressed regret that the notices were not publicized in the media. President Jim Strouhal promised that this would not occur again, whether required or not. According to authorities, the change in law was proposed by Harris County Commissioner Jerry Eversole. He preferred that ESD boards were responsible to the public, not the County Commissioners who at that time were appointing them. As passed in 2007, this legislation only applies to Harris County, no other Texas counties. Part of the provisions of the act say that the government body calling the election must pay the expenses, and in this case it will be the ESD#14. Expenses, including ballots, judges, attorneys, translations into 3 languages, and other costs are expected to be around $12,000, which will come out of the fire departments budget, it was pointed out. The act is extemely unpopular in smaller ESD districts, and there is some talk of repealing the law, or modifying it so that commissioners could serve longer terms. As it is now, 3 more Highlands commissioners must stand for election, with similar costs, in 2009. In other Fire Department business, Chief Harvey Little reported to the ESD board that in April there had been 168 incidents or calls for service, including 142 EMS calls, 26 fire calls, and 6 LifeFlights. On a Year-To-Date comparison, there were 733 calls for service in 2007 at the end of April, as compared with 841 in 2008. Response times have improved, and are 10 minutes average for fire calls, and 6 minutes for EMS in district. Regular bills were also voted to be paid at this session, totalling about $16,400. The lady in the pants suit really went through my home state of West Virginia with a vengeance this past Tuesday (May 13), the date of the West Virginia Primary election. Hillary Clinton won the state presidential primary over Obama by a 72% to 28%. This was one of the most lopsided victories in any of the state elections this year. Senator Obama falls flat on his face by doing something to upset the apple cart or the Clintons pull enough strings that causes Hillary to win at the convention even if she has less delegate votes. If the latter happens I think that will create such an uprising in the Democratic Party it will give the presidency to McCain. Unless Obama has another pastor waiting in the wings hoping to derail him or he makes a really bad move or two toward the end that causes him to lose he is John McCains opposition in November. Im pulling for Obama to win, not because I am a fan of his but because I believe he is the easier for McCain to beat in the general election. Im a very conservative person politically so you might say I am playing a dangerous political game. In my view Hillary, though liberal, is less so than Obama and might come closer (although there would be a wide margin) to my views if she were to become president. Obama and this writer are so far apart I believe, should he become president, one of my few options would be to move to Australia. While John McCain and I have some political differences I do believe he and I would get along just fine. To get elected, and to keep his options open while in office, I think he is going to have to bend more to the right. Otherwise, his base will start eroding and he wont get much done. It wont be long before we know if it will be Clinton or Obama. By the time you read this the primaries in Kentucky and Oregon will be over and the pundits have each winning one of those. Then, I think the Senator from Illinois will win Montana and South Dakota by good margins and Puerto Rico going to the Senator from New York. It will be an interesting summer and fall as we go through both conventions and then the election campaigns. I hope there are enough of us out there to pull McCain through. If not, any volunteers to help me with the Australia move? OLD RIVER-WINFREEWith school closing for the summer next week teenagers traditionally take advantage of the summer hours to stay out late at night. In the City of Old River-Winfree this could mean a possible violation of a city ordinance and a fine up to $500. 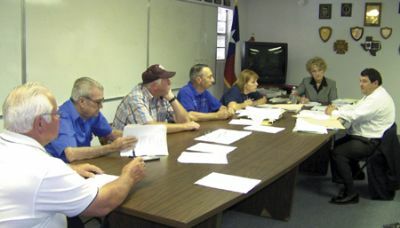 Last week the Old River Winfree City Council upheld a city ordinance that created a juvenile curfew between midnight and 4 a.m. on Sundays through Thursdays. Weekend hours (Friday and Saturday) are1 to 4 a.m. There was discussion to change the midnight starting time, however council members eventually voted to maintain the 12 a.m. time. The city has had a juvenile curfew on the books since 2005.
Business owners who allow juveniles on the premises during curfew hours are also in violation of the law. A juvenile or minor is defined as anyone under the age of 17. The city says that public places, as mentioned in the ordinance, include streets, highways, and common areas such as office buildings, shops and any place where the public or a substantial group has access. In other city discussion, a request was brought to the council to increase the citys sole police officers shift from 32 hours a week to 40 hours a week. Council tabled the motion stating that the needed to examine the budget to see if the funds are available. The city begins a new fiscal year in September. Also related to public safety, the council was asked to approve $3,500 to purchase a new radio for the police car. Mayor Joe Landry said that he would talk to Chambers County Emergency Management to see if they knew a vendor who could give the city a lower price for the equipment.